Special Offers: Check website for details. 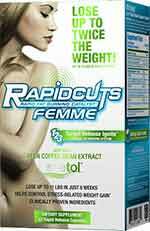 As the name suggests Rapidcuts Femme is a weight management pill for women. It is one of a number of supplements produced by All Max Nutrition. Like all of their supplements, Rapidcuts Femme is marketed towards more athletically-inclined users. According to All Max Nutrition, the Target blend initiates fat burning by controlling the body’s main fat burning hormone (cortisol, while also supporting healthy metabolic function and insulin levels. Meanwhile, the Release blend initiates the release of stubborn fat stores by improving lipolysis. When the fat has been released, the Ignite blend eliminates the fatty acids that have been freed and the burned calories are lost as body heat. Although it all sound technical, the science behind the claims is sound, but good results will be dependent on the type and quantities of ingredients used, and that’s where Rapidcuts Femme falls flat on its face. The website provides a copy of the label, which lists the ingredients used. It also provides a separate list of ingredients on the homepage, but although they look very similar close inspection reveals many discrepancies. For instance, the label states each capsule provides 100mg of the Target proprietary blend and that this contains 100mg of another proprietary blend (Sensoril) that supplies Ashwagandha. That would mean “Target” is just Sensoril with a different name. However the information on the homepage states Rapidcuts Femme contains 135mg of the Target proprietary blend (35mg more than the label) and also states the blend contains 10mg of another proprietary blend called Cinnulin PF. The discrepancies don’t end there. The homepage states the Release proprietary blend accounts for 350mg of the capsule content and that it contains 2 types of green coffee bean extract and yerba mate. The Label states Release accounts for 500mg of the capsule content but fails to mention Yerba mate. There are other discrepancies, but just one is enough to set the alarm bells ringing. Customers need to be sure what ingredients they are consuming; and even cautious customers, who seek a doctor’s advice prior to use, could still encounter problems if the label does not present an accurate picture of what the capsules contain. In theory, Vitamins B6 and B12 should aid healthy metabolic function and chromium may help control blood sugar and insulin levels. This may kill the desire for sugary foods. Whether the Sensoril Ashwagandha Extract in Target blend will work in the desired way is hard to say research suggests the main benefit it offers is stress reduction. Both lists suggest green coffee bean extract is the driving force behind the Release blend, and it cannot be discounted out of hand because the chlorogenic acid provided by green coffee beans has an outstanding fat burning reputation. The Ignite blend may or may not contain white willow, but if it seems likely that caffeine and theobromine are present. Caffeine is good for providing a quick energy boost, and some studies suggest theobromine may have potential both as an appetite suppressant and as a fat burner. How to Take Rapidcuts Femme One Rapidcuts Femme capsule is required twice per day and capsules should always be taken on an empty stomach with 6oz. to 8oz. of water. The first dose should be taken 30 minutes before the first meal of the day. The second dose should be taken in the afternoon, 30 minutes before commencing exercise or eating a meal. Doses should be separated by at least 6 hours and the maximum daily dose of 2 Rapidcuts Femme capsules should not be exceeded in any 24-hour period. For best results, supplementation should be continued for at least 12 weeks. The manufacturers provide a list of medical condition and situations that make use of the formulation unwise without a doctor’s approval, and all women of “childbearing age” are advised to speak to their doctor prior to using the product. This suggests the formulation could be problematic, so we suggest all potential users seek medical advice prior to using Rapidcuts Femme. It is not possible to purchase Rapidcuts Femme directly from the manufacturer’s website, but the product is available from many online retailers including Pharmaprix / Shoppers Drug Mart and Vitamart. Each pack provides 42 capsules. Prices can vary from one supplier to the next, but expect to pay $19 to $27. Rapidcuts Femme appears to be sold without a money back guarantee. 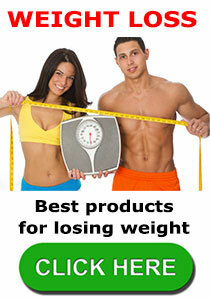 We prefer Phentaslim in this category – a fast working fat burner that is designed for everyone. Phentaslim is a premium product and highly regarded and rated by the industries top professionals, it is a premium product. This entry was posted in Fat Burners and tagged Rapidcuts Femme Coupon Code, Rapidcuts Femme negatives, Rapidcuts Femme Results, Rapidcuts Femme Stockists by admin. Bookmark the permalink.